Broadcasting News From Across the Galaxy…. 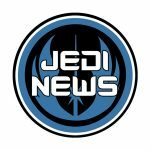 Jedi News was launched on May 4th 2007 by James Burns and Adam Lamping with the purpose of bringing the latest Star Wars news and views to fans in the UK. 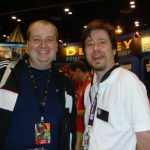 On August 12th 2010 Lightsabre merged with Jedi News, and Mark Newbold became the daily content manager for Jedi News, bringing the Lightsabre team with him. The merger brought the content of Lightsabre to Jedi News, with articles dating back to 1999. In 2017 Jedi News celebrated its 10th Anniversary at Star Wars Celebration in Orlando. Over the 10 year history (or 18 years if you include the Lightsabre content), Jedi News has become one of the most prominent Star Wars fan sites. Here is a look at #teamjedinews members present and past. Click on their profile image to find out more, or on their social media links to message them directly. James BurnsBrand Director (Jedi News). Host of Star Wars Collectors Cast and co-host RADIO 1138 (Jedi News Network). At Celebration V in August 2010, Jedi News and Mark Newbold’s decade-old site lightsabre.co.uk merged to form a new entity, retaining the Jedi News name. During the weekend, Jimmy Mac and Jason Swank put James together with photographer/writer Dan Curto to co-host the Collector’s Edition podcast as part of The ForceCast. From September 2010 and for 18 months James co-hosted the show alongside Curto. The last of almost 30 shows as part of the ForceCast network was broadcast in early March 2012 and featured news from February 2012’s US Toy Fair. On April 1st 2012 Curto and Burns appeared on the April fool’s day 340th episode of Star Wars Action News, with special guest Steve Sansweet from Rancho Obi-Wan. The Curto Burns Collectors Cast ran from June 2012 to December 2013, featuring Steve Sansweet every episode. The show ended in December 2013 and continued under the new name, Star Wars Collectors Cast as part of Rebel Force Radio. Curto left the show in late 2014 and Burns continued alone along with regular monthly guest Sansweet. Justin’s contributions to the Star Wars fan community have been numerous over the years. From providing reports from conventions including Star Wars Celebration, New York Comic Con, New York Toy Fair, and other Star Wars-related events, to snapping pictures of various Star Wars products located on retail store shelves, Justin does his best to try and keep his finger on the pulse of the Star Wars galaxy and share his findings with his fellow fans. Steve was 5 years old when he saw Star Wars for the first time during its first UK cinema release. He considers himself a first-generation Star Wars fan and in his own words is a ‘Child of 77’. With no new films on the horizon, he moved on from Star Wars around the age of 15 to pursue other interests. Then in 1991 a newly released book on the shelf of WH Smith caught his attention and the circle was complete. That book was the expanded universe novel by Timothy Zahn; ‘Heir to the Empire’. The Star Wars candle was relit and then in 1995 with the release of the POTF2 figures, petrol was thrown on that candle, which over the last 20+ years has now become an out of control raging forest fire once more. He is a collector of comics, novels, books, figures, LEGO and a myriad of other items and boasts a collection of all ‘Legends’ era and original novels as first editions in his collection. Adam D. Bram (a.k.a. The Nilbog) is an aspiring writer, actor, and director. He has a Bachelor of Arts in Theatre Performance, and wrote extensively for his college’s newspaper. For many years, all Adam knew of Star Wars was the Jabba’s Palace sequence from Return of the Jedi, which was one of many omnipresent films on the Betamax his parents had when he was a toddler. In 1997, at the tender age of 11, Adam used the release of the Special Edition to finally see what this Star Wars thing was that everyone was talking about, and his life was changed forever. He ate up every second, bought up every toy, even cast his fifth-grade class as characters from the then-trilogy (Protip: Never cast your crush as Sy Snootles. She will not understand). Adam’s favorite film in the saga is unabashedly The Phantom Menace, the only Star Wars film he was lucky enough to see on opening day. While Yoda is his favorite character of the saga, he identifies most with Jar Jar Binks (his fourth favorite). Adam lives with his wife in Providence, Rhode Island USA (a wife who was gracious enough to allow “Across the Stars” as their wedding processional). When not immersed in the Galaxy Far, Far Away, he works as a Job Coach for young adults with Asperger’s Syndrome (after being diagnosed with the disorder himself in late 2010), plays World of Warcraft, writes and manages the self-indulgent blog “Nilbog’s Storybook Land”, and attempts (often in vain) to complete his novel. He secretly hopes that the production of the new Star Wars films will lead to open auditions. Originally a journalist, Adam was first published at age 16, contributing articles to his local newspaper. A handful of years later, he became an established film critic, writing for the likes of Ain’t It Cool News. Adam has also written extensively for Rolling Stone and GQ. 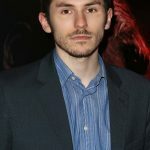 As he continued to write about cinema, Adam changed direction and decided to apply his knowledge to filmmaking, producing a number of independent features in the preceding years before his award-winning directorial debut, Done In, wowed international critics ahead of its world premiere at the Cannes Film Festival in 2014. Following such acclaim, which led to the film being featured on ITV’s Good Morning Britain, it was released in June 2015 to further praise on Crypt TV, the genre movie network founded by renowned filmmaker and actor Eli Roth. Following the success of Done In, Adam returned to the director’s chair in April 2015 on the action-packed crime thriller Kill Kane, starring Vinnie Jones, which was distributed all over the world. He is currently the Vice President of Hereford Films, a leading independent film production company based in London, and his credits include We Still Kill the Old Way, Bonded by Blood 2, Age of Kill and Eat Local. I am a credentialed photojournalist and classically trained photographer working out of Southern California. My inspiration in photography has always come from the idea of protecting a memory. Capturing that moment that tells a story to share and look back on long after fleeting moments have passed. None of my fandom memories are more special to me than my memories from a galaxy far far away. From that summer day in 1977 at the Mercy Theater to whatever the latest Star Wars events are today, my Star Wars fandom has been that special place I return to for a smile, hours of enjoyment and the best friends in the galaxy. Follow along as I share pictures of anything Star Wars with you here at Jedi News. Chris Daly first saw Star Wars back in ’78 when it made its way to the cheap theaters out in the Chicago ‘burbs. Following some 40-plus viewings in the theater ($1 movies were good for these things), he’s been hooked for life. At this point, he’s pretty sure his spirit animal is either a Wampa or possibly a Wookie. In addition to a basement full of SW merchandise and memorabilia, CD sports a nifty Samurai Darth Vader tat on his left calf, owns no less than a dozen lightsabers, is a five time attendee of Disney’s Star Wars Weekends (and genuinely hopes the Mouse revives those), has been to Celebration twice (’13 in Orlando, ’15 in Anaheim) and even took his mother to stand in line at midnight for the most recent TFA toy releases. 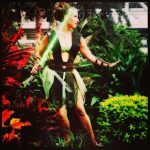 For Jedi News, CD has covered SW comic books, local themed events, movie screenings and various SW goings-on. Additionally, he is a proud member of the Rebel Legion’s Freedom Base as a Rebel Trooper. CD also covers the music industry for such renowned sites as Passion of the Weiss and Odd Bloggings. Although officially a millennial (born in 1986), Chris has one foot firmly stuck in the past, most notably the years 1977-1983. His earliest memory of a Galaxy Far, Far Away is watching an old VHS of Return of the Jedi at a friend’s 5th birthday party. Although initially terrified of Darth Vader, his intrigue in the saga has subsequently grown and grown, resulting in the full blown obsession he finds himself of the midst of today. He is no stranger to a fact or stat, be it Star Wars related or otherwise, previously rolling them out at a rate of knots whilst recording a commentary of the aforementioned Episode VI. 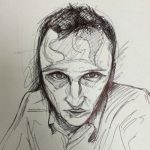 Chris is a serial podcaster, currently working on ‘A Show Called Hate’ with Big Punch Studios, and counts BBC, ITV and several other UK newspapers, magazines and websites among his writing credits. Online, he is usually found on Twitter and Instagram, the latter used almost exclusively to showcase his ever-expanding collection of Star Wars merchandise. Residing in New York, Dianna Bates shares the same deep love for the GFFA as her husband Justin LaSalata. In addition to posting news articles on our website, Dianna assists with providing photographs from various conventions and Star Wars-related events including NY Comic Con, “Force Friday” and others. The Dark Lord. The courageous Jedi. The cocky scoundrel. The witty Princess. These are all characters that James has known and loved for his whole life. He is obsessed with all elements of Star Wars: comics, books, films, TV shows, figures, merchandise, videogames. James contributes literature reviews to Jedi News. Jason’s first memory of Star Wars goes back to a New Year’s Day viewing of Star Wars: A New Hope when his childhood imagination was sparked into action. A short while later his parents bought him a large amount of second hand figures, including a Millennium Falcon, which he still has. An obsession with sci-fi was born and still burns bright. For Jason growing up in the eighties didn’t mean just watching the movies, but also the animated television series Droids and Ewoks which is where his love for animated Star Wars began. My first memory of Star Wars is not the typical experience for most that are my age and are old enough to have actually seen them in the theaters. I grew up in a very strict household and was not allowed to watch much TV and we never went to movies, so my first actual interaction with anything Star Wars was in 1981 playing in the dirt with a neighbor kid who was slightly older than me but who had most of the original Kenner collection of action figures. The first figure I picked up was Hammerhead, (now known as Momaw Nadon but will always be Hammerhead to me.) The look of this figure was so riveting to me. I had never seen an alien of any sort up until this point. Along with Hammerhead there were also other memorable alien figures such as Walrus man and Greedo. All these characters were really interesting to me and made my mind race with questions and intrigue. The only humanoid character that I remember was Big head Han and of course He was with his trusty companion Chewbacca. To add to all this The Millennium Falcon was the centerpiece of this new playworld. From that point on, despite the fact that I still had not seen any of the movies I never stopped thinking about Star Wars because I was creating my own stories. The first time I actually saw Star Wars was on the last day of school before Summer vacation in 1983. I was in the third grade and the teacher brought in her personal copy of Star Wars that she had bought during the holiday season the year before. I was finally seeing what I had only imagined in my mind. The aliens and characters I had only seen in plastic form were coming to life on screen right in front of my eyes. It was absolutely exhilarating. That was where it all started. My first real experience with the Star Wars fan community and the collecting community was at Celebration V in Orlando back in 2010. Just prior to that I had no knowledge of Celebration. I first became aware of Celebration in 2008 when I purchased a Ralph McQuarrie 30th Anniversary Threepio and Artoo and a Celebration II Commander George Sacul at San Diego Comic con. After doing some research I found out about these incredible gatherings every few years. Fortunately for me I lived about 3 hours south of where Celebration V was going to take place. My wife and I attended in the summer of 2010 and we were so blown away. Wehave not missed a Celebration in the U.S. since. I manage a small commercial printer in Jupiter Florida of which I have worked at for over 20 years. It is here where most of my contributions to Jedi News occur. Although I have written for Jedi News, I utilize my printing knowledge and capabilities to produce promotional materials for the Conventions that The Jedi News Team covers. Force for Change Spotlight girl Joelle discovered Star Wars when she was 6 years old, after being encouraged to watch “Attack of the Clones” by her friends, who told her that her sister looked like Natalie Portman. Since then, Joelle has gone on to watch all of the space saga’s offerings, including a modest 7 sittings to see “The Force Awakens” at the cinema. She has even interviewed Executive Producer of “Star Wars Rebels”, Dave Filoni for a national news outlet. Having fallen in love with “A New Hope’s” scene on the Death Star, where Han and Luke change back into their clothes with Stormtrooper belts on hip, Joelle has since flaunted many fashion looks, incorporating her very own TK belt. Finding her love for singing at a young age, Joelle developed a distinctive vocal sound. Combining this love for music and Star Wars with her various charitable initiatives, she has created her own project for Force for Change. Joelle is soon to be seen performing an original charity record “Skoobie Dootle”, in a music video showing her parading around New York, whilst wearing her Stormtrooper belt. All proceeds from downloads of the track will be donated directly to Lucasfilm’s charitable movement. In 2014 Joelle became a Young Person’s Ambassador for the UK’s leading alopecia charity, Alopecia UK, having lost all of her hair when she was 8. Appearing on national TV and radio and being covered by press around the world, Joelle is no stranger to the public eye. John appeared in A Bridge Too Far (1977), in the 1980 hit sequel film Superman II as an astronaut named Nate, also that year he appeared in Flash Gordon. He was featured in the BBC television series Oppenheimer (1980). He portrayed Dak Ralter, Luke Skywalker’s Gunner during the Battle of Hoth in The Empire Strikes Back. When Jeremy Bulloch played an Imperial Officer, he needed someone to cover him as Fett. Morton being similar in height was a body double for two days in costume. He filmed with another unit, the sequence when Fett confronts Darth Vader in the Bespin hallway during Han Solo’s torture – while Bulloch filmed his scenes as the Imperial Officer. Afterwards he left Hollywood and eventually settled in public relations work back in Annapolis. Jonathan Hicks was born in 1971 and by the time Star Wars appeared in the UK in late December 1977 was already a huge science fiction and fantasy fan. He began writing stories inspired by Star Wars in the early 1980s. This love of the written word progressed into all kinds of writing which includes short stories, novels, novellas, scripts, game design and magazine articles. 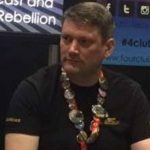 After co-creating the Setnin sector, a playground for his Star Wars creations, Jonathan fleshed it out with the West End Games Star Wars D6 roleplaying game. He had already been involved in the roleplaying hobby since 1983. His writing credits include an article in Arcane magazine, he has been published twice by the British Science Fiction Association’s writer’s magazine Focus, written reviews for RPG.net, edited and published the free online RPG magazine ODDS, designed the missions and wrote the dialogue for a video game of Universal’s re-imaging of Battlestar Galactica, published the short story collection Those Dark Places and the book The Book Of Roleplaying Hints, Tips and Ideas, written articles for various online websites and runs the small RPG company Farsight Games and its accompanying blog Farsight Blogger. Jonathan is currently working on a major RPG property Stellar Adventures, an Adnavced Fighting Fantasy RPG, due for release in 2017. Jonathan is the Roleplay and Gaming Editor of Jedi News and is also the founder of the GammaCon roleplay convention which held it’s first event in January 2012. Jonathan lives in Lichfield, England with his wife Lisa and his son Bruce. It was not easy to find much Star Wars memorabilia in 1990. The films had all come and gone and yet for a five year old Mark, it was all he wanted to play with. Thank goodness he had the coolest nan in the world, who brought all the vintage toys from the kid down the street, who didn’t want them anymore. Standing them up, lowering the landing gears and turning her lounge into every Star Wars fan’s dream, Mark’s nan ensured he would be hooked for life when he walked in. Since then his love of Star Wars has led him to the Expanded Universe, where Mark has tried to read every book and comic he could find that further enriched a galaxy far, far away. He is also an avid fan of the Clone Wars and, in particular, Rebels. Mick Dobson is a longtime sci-fi geek, DIY enthusiast, and lover of good coffee. 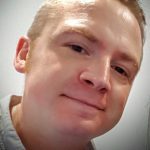 As a father of 2, Mick has been getting involved in model building and other crafts as a way to spend quality time with his family and is just taking his first few steps into online writing. Husband. Father. Star Wars fan. Yep that’s about it. Randall has loved Star Wars since his parents took him to see Return of the Jedi in theaters when he was 2. It is one of his first memories. Randall has been a comic collector since 1999 when he started having some disposable income. He gets SW comics, novels and Insider. He shares his love of Star Wars with his 4 kids who are all avid Star Wars fans themselves. He lives in Oklahoma, U.S.A. Husband. Father. Star Wars fan. Yep that’s about it. Randall has loved Star Wars since his parents took him to see Return of the Jedi in theaters when he was 2. It is one of his first memories. Randall has been a comic collector since 1999 when he started having some disposable income. He gets SW comics, novels and Insider. He shares his love of Star Wars with his 4 kids who are all avid Star Wars fans themselves. He lives in Oklahoma, U.S.A.
Richard Hutchinson was born in 1976 and cannot remember a time without Star Wars in his life. His highlights of visiting his relations in the early 80’s include taking action figures to have space battles with his cousins and watching endless reruns on Star Wars on pirate VCR. As with most children in the North, he had to grow up fast and his toys were given away to younger relations. However, this led to an evolution of his Star Wars enjoyment and toys were replaced by the Expanded Universe books, comics and video games which are his pride and joy to this day. Of course there were also the prequels which he loved from first viewing and many hours were spent wasting time on the Internet in the mid 90’s chatting to fans online throughout the world getting involved in the growing online community. It wasn’t until a brave eBay purchase around 2011 that he started vintage toy collecting again, telling anybody who would listen that he only wanted one of everything loose. Like most collectors, he was immediately hooked and now has a diverse collection of vintage and modern items together with a lack of space to display it properly. Outside of Star Wars Richard is a school teacher who teaches Computer Science to pupils aged 11 to 19. He can also be found wandering the hills and moors with far too many groups of pupils in his role as a Duke of Edinburgh leader. 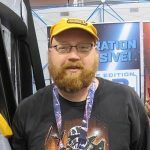 His love of the community side of Star Wars is infectious and he can often be found supporting toy shows, such as Farthest From, and Celebration. 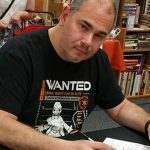 He is co-host of The Vintage Rebellion podcast which is a monthly vintage Star Wars collecting show. “I don’t want to see Star Wars!” I said back in the summer of 1977. I had my hands full with Planet of the Apes, Batman and Hong Kong Phooey. Then one August night, I gave in and saw THE GREATEST STORY EVER TOLD – STAR WARS! 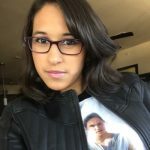 Sarah Woloski is co-host of two well-known podcasts: Skywalking Through Neverland (Disney/Star Wars Podcast with her husband Richard) and Fangirls Going Rogue (The first all-female Star Wars Podcast – Tricia Barr, Teresa Delgado co-hosts). Sarah and Richard live just 20 minutes from Disneyland and cover media, movie and theme park events. She is generation 1.5 of Star Wars, meaning she got into the original trilogy in the Dark Times (early 1990’s), having been born post-Empire Strikes Back. 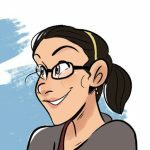 Sarah loves John Williams, Julie Andrews, running, creating art and podcasting. I’m an 80’s-VHS generation Star Wars fan who grew up on a repeat diet of The Empire Strikes Back and Return of the Jedi on the small screen. My earliest memory of Star Wars is seeing C-3PO and R2-D2 wandering around in the desert. While Star Wars was always a film franchise I enjoyed, it was the books that sucked me in deeper. First it was The Essential Guide to Vehicles and Vessels which fascinated me with the names, details and histories of all the ships that appeared in the movies and some that didn’t. Then there was The Essential Guide to Characters that opened my eyes to the characters of the Expanded Universe. Years later, I read my first Star Wars novel, starting with all things Dark Force Rising. Surprisingly enough, skipping Heir to the Empire didn’t hurt my enjoyment of the book, and I soon found myself reading every Star Wars novel I could find. From there I discovered Star Wars forums and joined EUCantina, where I’m still a moderator and active poster to this day. That in turn led to Star Wars online roleplaying where I wound up creating several sites and wasting countless hours imagining characters in a galaxy far, far away. I even dabbled in fanfic which is still out there in a couple places. I honestly cannot remember a time when Star Wars has not played a role in my life. My earliest Star Wars memory comes down to playing the Jedi Knight & Dark Forces series of video games in the mid-90’s. Before this, as far as I can remember I’d never seen the movies, but playing these games & immersing myself in a Galaxy far, far away led me to watching the films & ultimately making my first Star Wars action figure purchase. Which brings us to where we are now! After losing touch with friends Iíd shared the love of Star Wars with through childhood, I decided to share my passion with the world, joining YouTube in 2008 & working hard to develop a channel dedicated to Star Wars toy reviews! Over the years I’ve covered an extensive range of products in my videos, including Hasbro action figures & vehicles, LEGO sets, 1:6 scale action figures, prop replicas & much more! I’m now happy to boast that SithLord229 is YouTube’s largest video archive of Star Wars toy reviews, with almost 850 videos uploaded to date! 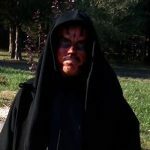 You can find me across the web & at www.youtube.com/SithLord229! 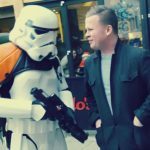 Not only has my YouTube channel allowed me to share the passion for Star Wars & collecting with the world online, it has also enabled me to enjoy the hobby with new friends closer to home, via events such as the Star Wars Fan Fun Day, whose team I’ve worked closely with over the years to develop promotional material & cover the events I’ve attended! The event has also allowed me to do my bit for charity, raising a collective £500 for Macmillan Cancer Support & the Weston Park Hospital Cancer Charity, based in my hometown of Sheffield. My love for Star Wars continues through events such as this & through interaction with fellow fans & collectors! 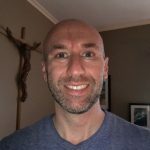 Whilst contributing literature reviews to Jedi News, Steve is also the Social Media Manager for The Fly Casual Podcast, as well as a staff writer of news & reviews for The Bearded Trio website. When not working on Star Wars websites, Steve is an active member of the 501st & Rebel Legion. 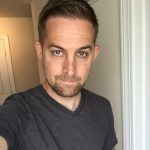 Whilst contributing literature reviews to Jedi News, Steve is also the Social Media Manager for The Fly Casual Podcast, as well as a staff writer of news & reviews for The Bearded Trio website. When not working on Star Wars websites, Steve is an active member of the 501st & Rebel Legion. It was my dad who initially introduced me to the saga as he was trying to educate me with as many classic films as possible. However my primary spark of fandom was really born in the summer of 2008 when my Uncle had come over to visit from Zurich, Switzerland, where he used to reside. I was on the summer holidays from junior school from at the time I was 9 years old. A new animated film called Star Wars The Clone Wars had hit the silver screen so it seemed a perfect excuse to go out. My uncle was already a bit of a Star Wars fan and I had only recently been introduced, so after deciding to invite my mum and brother along we set off. My memory from that age is a bit fussy so I can’t quite remember the details of the whole day. But what I can remember on that day is, how my life got changed. I walked out of that cinema feeing like Iíd just been reborn into another universe, another life. And so it started. From that point on my love of life became Star Wars. My brother and mum always said that ìoh itís just a fadî and ìyouíll grow out of it one day. Grow out of it I asked? The only thing I intended on was growing into it…and thatís what I did. I’d really try and collect anything I could get my hands on, whether it was the weekly Clone Wars comic releases or the odd find at my grandmaís charity shop. Fast forward through 5 years of dedicated fandom and I start writing for Jedi News which was April of 2013. It was at this point that my obsession turned into a passion and my love of Star Wars started to mature into another level of knowledge. I started out mainly as a reviewer for the site, reviewing the Dark Horses weekly comic publications. Then I gained access to the Facebook page and started it growing into more Likes, and then over time I have become a general staff writer for the site, while still co-running the Facebook page. Over the past year I have also started taking the role of events photographer for the likes of the MCM comic con expos, Farthest From events and hopefully now future Celebrations and whatever I can make it to. Currently I am studying A level Media, Film, English Combined and Btec Business with which I hope to go on to work my way into the film and media business. 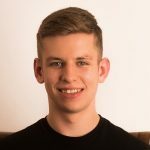 I have a growing knowledge in these fields through completing work experience at Double Negative visual effects, Sunday Express and Black Sun plc. Every day I feel grateful for being a member of Team Jedi News (despite being the youngest on the team). It has opened up so many experiences and opportunities, where by I’ve met so many people and most important of all what I would consider my second family – Team Jedi News. That’s what I really love about Star Wars, it’s not just a film, it’s a way of life. Adam’s fascination with the galaxy, far, far, away, began in 1978 when his Dad took him to see Star Wars. Soon after his collection began when he bought his first action figure; whilst Princess Leia Organa was not his preferred choice, it was the only one left in Harry Packs and he was desperate to spend his hard-earned pocket money. However, such was his eagerness to start re-creating scenes from the film that he ripped her off the card and promptly lost her pistol somewhere between the toy shop and home. Adam continued to collect action figures throughout the earlier 80s, stopping with the last 17, by which time he had reached an awkward age where toys were for kids and his reputation with the girls was not going to benefit from such behaviour. His interest was rekindled with the launch of Heir to the Empire and fuelled by regular releases of the Lucasfilm magazine and Dark Empire. Once Kenner released their new range of action figures there was no turning back. Adam focused on collecting the Hasbro line of 3 3/4″ figures on card and branched out into several other lines including the Master Replicas 0.45 scaled lightsabers and Kotobukiya figures. 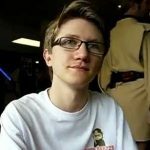 Adam left Jedi News on the 21st March 2012, and soon after he joined Rebelscum.com as a media representative and reporter. 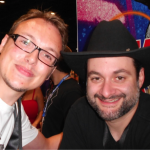 In July 2013 he became content manager at Cool Toy Review. He lives in Vancouver, BC. Beth has been a fan of Star Wars since she was very young, after watching the original trilogy countless times with her father growing up. She was not lucky enough to have been around when they first came out at the cinema, however as she was growing up she got to experience the prequels on the big screen, and that helped her Star Wars fandom grow exponentially. This lead to discovering the LucasArts video games based on the movies, such as Jedi Knight: Dark Forces II and the various prequel titles. Becoming a Jedi became her dream from that point. Since then, her love for the Star Wars galaxy has expanded and continued to flourish, especially via her passion for their video game offshoots. This has included many, many (many) hours playing the LEGO Star Wars games, and more recently discovering the Knights of the Old Republic series (and in turn, the Old Republic MMORPG). She has an appreciation for the depth of the older titles, as well as an excitement for what is to come in the future. Beth lives in England, and when she’s not playing games she is a photographer who enjoys astronomy and viewing the stars. She is particularly fond of droids. 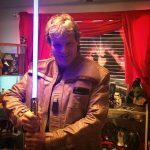 Brian has written for quite a number of Star Wars sites since 1998, including guest articles for TheForce.net and JediNet.com before forming his own Lost Spoilers website which ran for seven years, but he found his particular kind of hive of scum and villainy in April 2013 as part of Team Jedi News! In 2016, beans were added to his farms crop…. He does however deny having ever milked a moof, or herded a nerf. 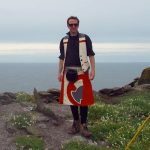 Brian travelled to Skellig Michael in 2015, and is proud to say he was physically sea sick at the exact spot that Rey meets Luke. Before he knew that Rey meeting Luke there was a thing! 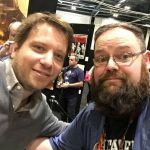 He was the host of the the Star Wars literature podcast, Take Cover for the Jedi News Network with Mark Newbold, and Matt Booker until August 2017. He rarely smiles, but takes great joy in people not getting his humour, Planes, Trains and Automobiles (the movie, not necessarily the modes of transport) and of course Star Wars… but most of all he is impressed you read all this! Brian is an obsessive collector of Star Wars books, comics, and magazines. With a collection extending into the tens of thousands, the more obscure a publication the better. 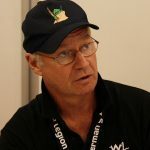 Brian stepped down from the site in August 2017 for personal reasons. At the end of October 2017 he was part of the team that launched Fantha Tracks. 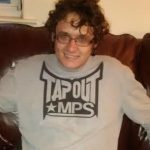 Dan Curto is a veteran collecting reporter who worked for Rebelscum.com from 2002 to 2012. He also reported on the state of collecting for The ForceCast as the co-host (with James Burns) of The ForceCast: Collector’s Edition. Graham’s introduction to the Star Wars trilogy came only through video tapes, but this interest turned into a full obsession with the release of the Special Editions in 1997 and the chance to experience the films on a cinema screen. This sparked him to begin collecting the modern 3 3/4 inch Hasbro figures, of which he buys one of each to open plus too many extra army builders. Between then and the release of The Phantom Menace, Graham began to read and collect the novels and comics. During 1999, his wallet took a bigger long-term hit when he began to collect the new Lego line, never expecting that he would ever be tracking down packaging variations and promotional items nearly ten years later. Graham spent time selling Star Wars merchandise from 2004 to early 2006, both online and at events, learning a lot about the ‘other side’ of Star Wars collecting and the frustrations of case mixes. On May 16th 2005 he had his finest Star Wars experience when he was fortunate enough to win tickets to the UK premiere of Revenge of the Sith, realising it really was worth going to see Return of the Jedi at about ten o’clock in the morning. Since the onslaught of merchandise during the prequels, Graham’s collection has grown much beyond the initial figures and Lego to include many of Hasbro’s new lines, as well as items from almost all of the different licencees and many promotional display stands. He regularly attends events across the UK. Former Daily Content Manager (Jedi News). Former Program Director (Jedi News Network). Former co-host RADIO 1138 and Take Cover (Jedi News Network). Mark NewboldFormer Daily Content Manager (Jedi News). Former Program Director (Jedi News Network). Former co-host RADIO 1138 and Take Cover (Jedi News Network). Mark’s Star Wars journey started at the Cannock ABC cinema back in early 1978 and through weekly Marvel UK Comics, Read-Along-Adventures, Palitoy figures and his imagination he’s continued on the Jedi Path for four decades. In 1982 he wrote his first Star Wars fiction, the short story Quest For Freedom. That spawned the creation alongside Jonathan Hicks of the Setnin sector through 17 audio stories recorded between 1985 and 1987, countless weekly D6 West End Games RPG sessions between 1987 and the present day and almost 200 short stories, novellas and novels. In 1998, after four years online with a variety of sci-fi sites including The Q-Continuum and FantaWar, Mark and Louis Turfrey launched Wirezone, which changed its name and URL to become lightsabre.co.uk on 28th June 1999. 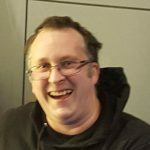 During his decade running Lightsabre alongside Louis, Jonathan, Paul Squire and Jason Brown he conducted well over 140 interviews, oversaw the compilation and development of the fictional setting of the Setnin sector and co-hosted 17 episodes of the Setnin Radio podcast during 2005 and 2006. 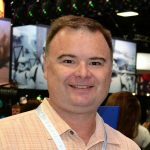 On August 12th 2010 Lightsabre merged with Jedi News, and Mark became the daily content manager for Jedi News, and program director for the Jedi News Network. With the merger Mark brought the content of Lightsabre to Jedi News, with articles dating back to 1999. On 27th May 2016 Mark once again began contributing to Lightsabre, relaunched by Louis as a general sci-fi site. In 2006 Mark first contributed to the Star Wars Insider magazine in issue 90 and so far has had 132 articles published. His tenure has included overseeing both Red Five and My Star Wars! features and contributing to Launch Pad as well as providing numerous interviews and cover articles. He has also written canonnical material for DeAgostini’s Build The Millennium Falcon partworks magazine. 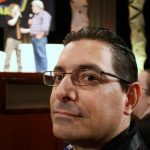 In November 2016 he began writing for Geeky Monkey magazine which sadly ended on issue 22, and in March 2017 had his first article published in issue #187 of Star Trek The Official Magazine. Mark also writes for the world’s longest running sci-fi magazine Starburst, as well as the UK’s biggest sci-fi magazine SFX. Online articles have also appeared on FHM online, Sequart, Jedinet.com, The Bearded Trio and other sites as well as regular contributions to the online blog of the UK’s largest free newspaper The Metro with over 160 articles posted. 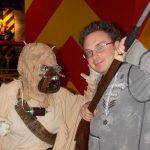 He was first featured on the official Star Wars website in 2009 with a piece on the premiere of Star Wars: A Musical Journey and since 2013 has been a featured blogger on the official Star Wars site with over 70 articles published. He was one of the very first non-Lucasfilm writers to contribute. Quotes from Marks interviews were also published in J.W. Rinzler’s 2009 release The Making Of Return Of The Jedi, and is mentioned in the bibliography. 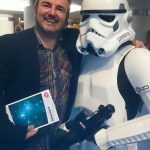 In print, he has had articles and reviews published in Model and Collectors Mart, TV Film Memorabilia Magazine, TeeKay-421 magazine and has written film reviews for The Force Awakens and Rogue One in the Lichfield Mercury. He has been interviewed by The i, The Irish Times, The Express and Star, The Lichfield Mercury, The Shropshire Star, The Voice and Micromart. On television he has appeared on BBC News 24, BBC Breakfast News, BBC Talking Movies, Big Centre TV‘s Brummywood Yammywood, Made In Birmingham’s The Lowdown and The Week and Channel 5’s How Star Wars Changed The World as well as the Sky One quiz show The Fanatics, winning the episode on his chosen subject the Star Wars saga. He also appeared on The Weakest Link on BBC 2 and Don’t Sit In The Front Row on Sky One. He’s also appeared on over 30 different radio stations, many of them multiple times as an expert commentator on the subject of Star Wars. In late 2016 he was a guest panellist on the pilot episode of Radio 4’s comedy film panel show Gaby’s Talking Pictures. His specialist subject – Star Wars. Mark is a Friend of the Elstree Base of the Rebel Legion and was inducted at Celebration Europe in Essen 27th July 2013. He was also recognised as a Friend of the Rebellion on 18th April 2015 at Celebration Anaheim and is an Honorary Member of the 501st UK Garrison, inducted at the UKG’s annual Ball on 22nd November 2014. On 17th July 2016 was made a Friend of the 501st Legion at Celebration Europe in London. He is married to Ruth and lives in Burntwood, Staffordshire where his 30,000+ piece Star Wars and sci-fi collection — Echo Base — is housed. 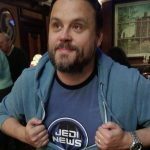 Mark announced he was leaving Jedi News after seven years (and almost 13,000 articles) on 29th September 2017. 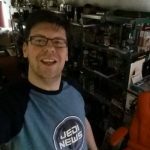 On 31st October 2017 Mark launched his own Star Wars fan site called FanthaTracks.com, a name borrowed from longtime friend Paul Bateman. Former Social Media Guru (Jedi News). Former Co-host Take Cover (Jedi News Network). A man with a Boba Fett-ish…. Matt BookerFormer Social Media Guru (Jedi News). Former Co-host Take Cover (Jedi News Network). When Paul isn’t working on a ship in the North Sea he likes to travel to as many Star Wars (and LOST) events and locations as possible. He’s often found roaming convention floors cosplaying as Bad Robot. His love for J.J. Abrams’ Bad Robot started when he became addicted to the TV show LOST and when his two fandoms collided to make The Force Awakens he had to pinch himself. When he wore his Bad Robot costume at Star Wars Celebration Essen for the first time Kathy Kennedy stopped a Lucasfilm meeting to have a picture taken with him. Kathy then told Paul that she was going to email the pictures to J.J. Abrams. Paul may or may not have wet himself a just little bit. The sight of Bib Fortuna still freaks him out the same as it did when he was 6 years old watching Return of the Jedi in the cinema. Only these days he doesn’t need to run out of the room and miss all of the first act. There’s nothing that makes him happier than enjoying a few drinks with friends he’s met through social media at conventions and events. If you see him at a bar tell him you read this and he’ll buy you a blue milk. Up until January 2017, Paul was Supplements Editor for two of the UK’s largest regional newspapers, working for both the Express & Star, based in Wolverhampton, and Shropshire Star, based in Telford. He had been with the organisation for 25 years. Then, in February, he launched his own ’empire’ – a design and pr agency by the name of Media & You. When the call comes in for Star Wars content his desk makes the jump to hyperspace at the drop of a hat. He particularly enjoys interviewing the cast of his beloved franchise – even if he does chuckle along a lot. His first Star Wars figure was Chewbacca which he had to share with his little brother and between them they managed to gather a large collection of the original figures and vehicles. A few years after Return of the Jedi came out they gave the whole collection to a neighbour’s nephew. If only they had known! Watto has never seen the original trilogy in the cinema, he first saw Star Wars on VHS and grew up watching the Ewok cartoons and playing with the ‘vintage’ toys. His favourite being the Millennium Falcon which he received as a Christmas present, unfortunately he rather foolishly sold off his toys – forever to be regretted. During his secondary school and college years Star Wars became forgotten. His interest in Star Wars was rekindled when he was lent the 1997 Star Wars special edition VHS tapes to watch while he was ill.
Then came The Phantom Menace in 1999. TPM has become one of Watto’s favourite films and launched his Star Wars collecting passion. His collection started with Hasbro’s TPM 3.75″ figures and now he concentrates on collecting Gentle Giant Statues, maquettes and mini busts. Watto also enjoys collecting Star Wars autographs and reading the books of the Expanded Universe. Yamaro is part of the Original Trilogy ilk and collected some of the figures and toys when he was a lot younger. This collection dissipated as he grew older until his passion was rekindled in the early Noughties and he discovered Ebay. Yamaro started off amassing a collection of Star Wars Lego kits and since then has digressed into anything Star Wars. The main character that he likes to collect is Yoda and so he will tend to look for anything to do with him first, after this if it has the Star Wars (and/or Lucasfilm) logo then he is interested. 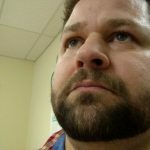 He has a passion for the Star Wars computer games and has spent many an hour playing the X-wing and TIE Fighter games, along with the first person shooters (namely Dark Forces) on the PC format and more recently the games released on the Playstation format. In June 2007 Yamaro set up his own business and in September 2007 ‘Master Collectables’ exhibited at it’s first event. He now attends large and small events up and down the country and looks forward to meeting you in person at one near you soon. Yamaro’s other interests in life (that he squeezes in around Star Wars) are raising his family, sport in general but mainly motorsport and martial arts (limited to watching). © 1999 – 2019 Jedi News. All content on this web site, is the property of Jedi News or its content suppliers, and is protected by United Kingdom and international copyright laws.